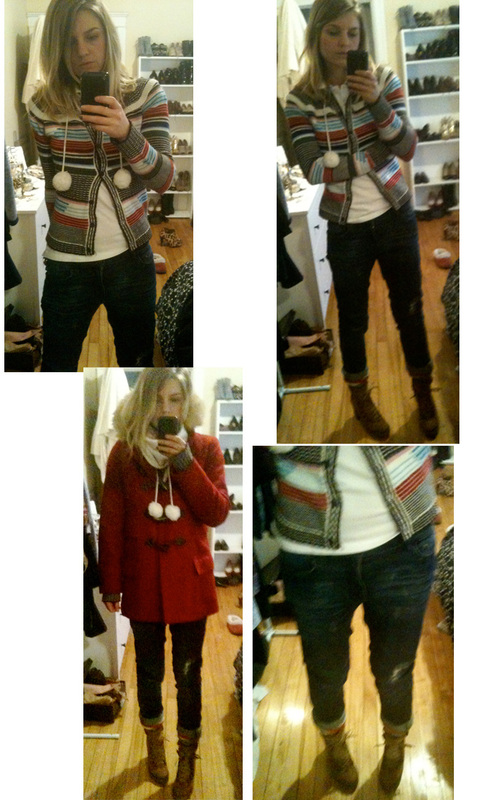 I have to admit that winter has been so brutal this year that it has left me completely uninspired about what to wear. Putting on the same clunky manly getup every day has seriously put a crunch in my creativity... These are from before mother nature decided to punish us. Needless to say, i'm ecstatic for spring. Or just for warmer, snowless days. That cardi looks super cute! OMG you look ADORABLE!!!!! that sweater!! I am totally with you. The winter has been terrible.